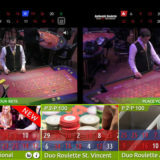 Authentic Gaming Releases Duo Roulette - Play two tables at once. 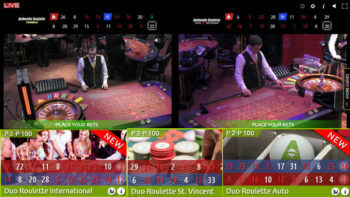 Game play from Land based Live Roulette tables can be a lot slower than play from a studio streamed table, so Authentic Gaming has come up with a solution, “Duo Roulette”. Duo Roulette allows players to play more quickly, by either playing two tables at once or switching easily between one and another. The main difference between Authentic Gamings Duo Roulette and other Multi Table playing interfaces is the tables are pre chosen for you. You’re not able to add specific tables to the interface. 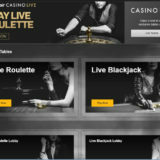 Duo Roulette from the Saint Vincent Casino and Resort. Duo Roulette from the International Casino. The playing Interface is the same for all of the Duo Roulettes. The tables at the St Vincent Resort generally play quicker than the ones from the International Casino. But they are still slow when compared with online studio tables. Of the two locations the St Vincent has the quieter tables. In the video you’ll see me explain a bit more about the playing interface and see me play a few rounds at both tables. Out of the two locations the International Casino tables are generally the slowest paced for online players. However you’ll see in the video they are not that slow. Table volume is much better here, so much so that I’ve had to edit the sound down a bit so you can hear me. You might be asking yourself why Auto Duo Roulette when we can already play Auto Double Wheel Roulette. I though that until I realised that Double Wheel Roulette is American Roulette, Duo uses the Auto 30 and Auto 60 wheels which are both European Roulette. Why not have the Auto Roulettes use the Duo interface? I like the idea, but the practicalities of playing two tables can be a problem. As I’ve played using this interface more I’ve found that I tend to stick to one of the two tables shown, and only when the games slow right down do I switch to using the other table. I also like that I can keep an eye on the trends on the two tables, so If I see a trend developing I might chose to place a bet and attempt to follow it. 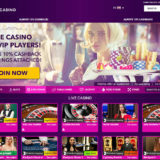 The online casino operators will definitely like this as it maximises the opportunity for players to make more bets per hour. Two wheels so you can choose which on the bet on. Having the ability to switch tables to keep to a pace that you like. No Favourite bets feature (for the moment anyway). Not available on Mobile, but due to come shortly. It’s my understanding that the Save Bets functionality is currently in development. It will replace the existing version and be rolled out to Duo Roulette as well when it’s ready. 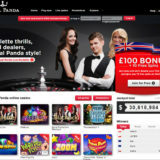 Codeta & Unibet both have Duo Roulette available if you fancy taking a look.